Carrie is a friend of mine from high school. 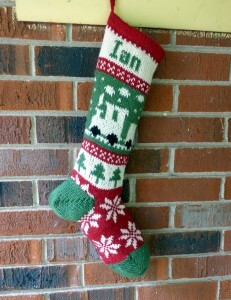 She asked me if I could make a stocking for her son, but needed some help with ideas. 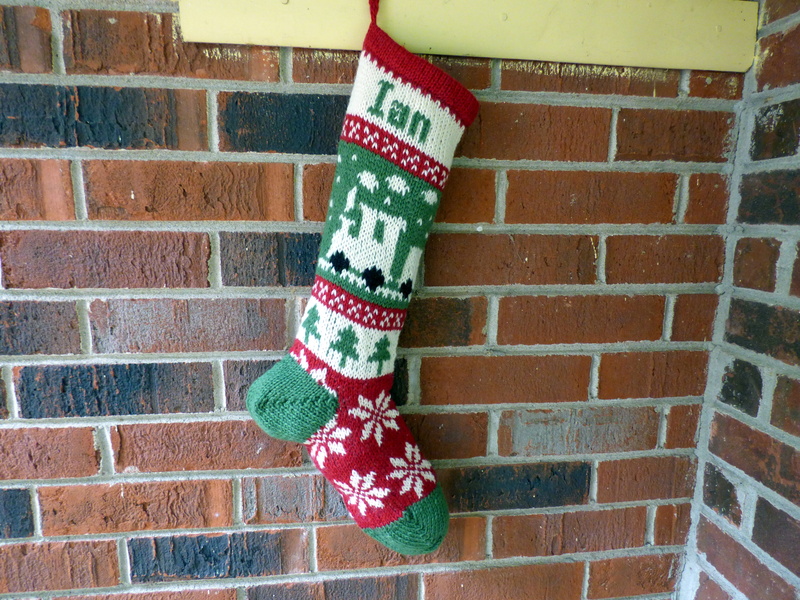 When I designed the train stocking, I thought it would be fun for Ian, too. 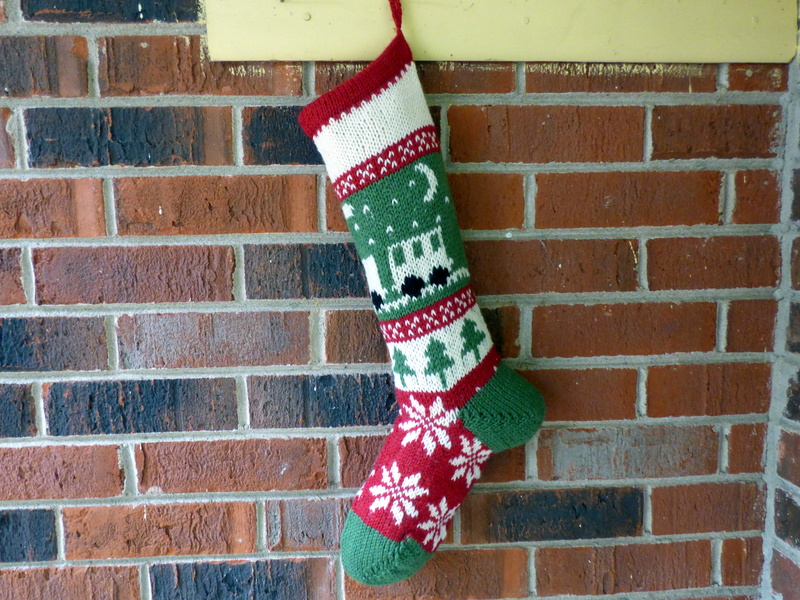 The first stocking had a small snowflake pattern around the foot that looked really good on the pattern, but I wasn’t 100% pleased with how it turned out in knit. So I came up with a few different ideas to go around the foot. One was larger snowflakes that were offset. I have a couple of other ideas for the foot section and I’m not sure how the final design will end up. 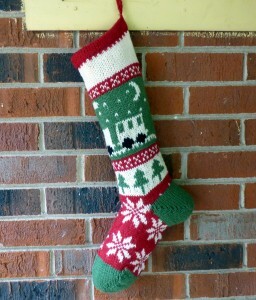 I do plan on writing up the pattern for this stocking, but if I like several ideas, I may end up including more than one option on the final pattern. I’ve got a feeling that train pattern is going to be a popular one. It is so cute. Thank you. I am really proud of it!